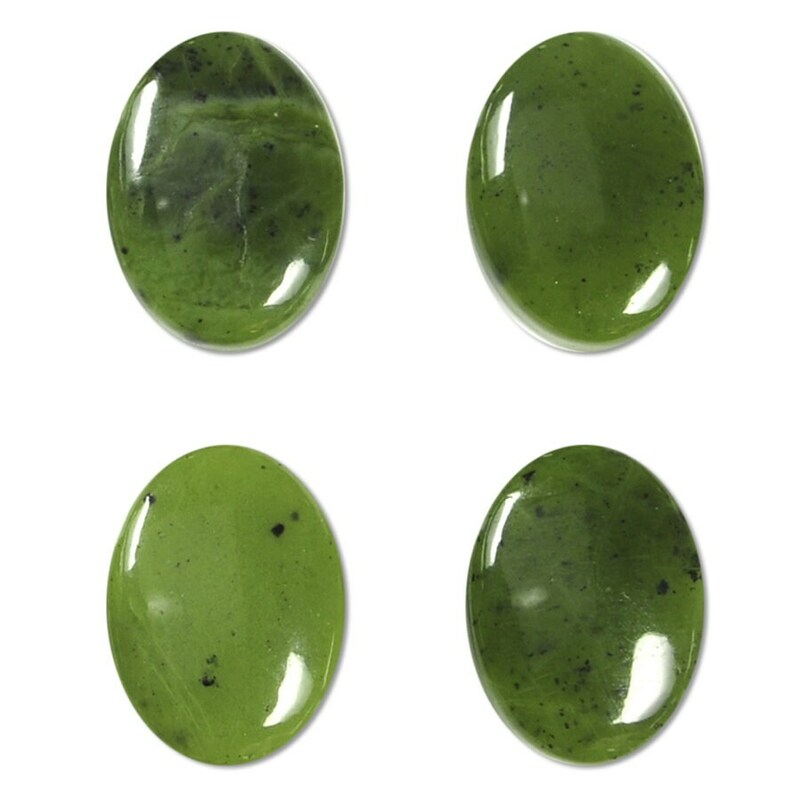 Canadian Jade is the trade name for this stone that ranges in color from light to dark green, with small, dark specks or veins. This material is actually Serpentine, a stone which is indistinguishable from Jade except to the most trained and discerning eye. It is extremely fracture-resistant and has been used for blades and other tools since Neolithic times.